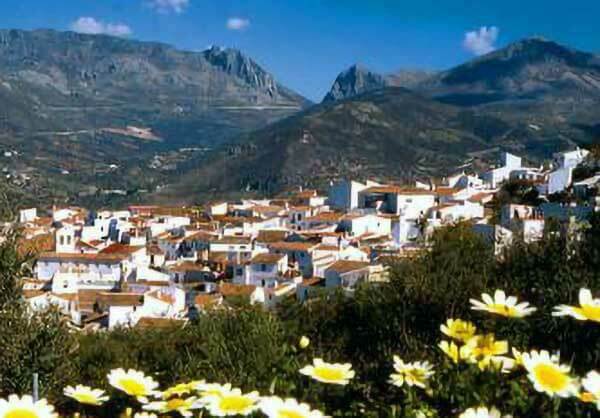 Situated on the side of the Sierra Tejeda, overlooking the Axarquia region, Periana Corridor and Zafarraya Gap, the village affords spectacular views as far as the coast. Remains of Neanderthal man were found here, but the first real settlement did not appear here until Moslem times, as proven by the remains of Zalia Castle. It displays the typical characteristics of the Axarquia villages, with its steep, narrow streets lined with white houses. The municipal boundaries of Alcaucin, which stands in the foothills of the Sierra Tejeda, stretch as far as the border with the province of Granada, the border being marked out by a series of mountains which provide access to the Axarquia region via the natural pass of El Boquete de Zafarraya. This pass has, since time immemorial, played a key role in the history of the settlers of the adjacent territories; in fact, archaeological excavations carried out in 1983 point to human presence in the area over 30,000 years ago: remains were discovered of the jawbone of a male Homo Sapiens -better known as Neanderthal Man- from the Le Moustier era of the mid Palaeolithic period. Other prehistoric remains found near El Boquete de Zafarraya are: the caves of Cueva de los Guaicos and Abrigo de El Espino, both of which belong to the Neolithic period, and evidence of a Bronze Age settlement in the 2nd century A.D. at Cerro de La Negreta. The village’s present-day name comes from the Arabic alqausin, meaning bow, and, in the opinion of some authors, could be a reference to the fact that the village was famous for producing these weapons. Both the village and nearby Zalia Castle were conquered by the Catholic Monarchs in 1485. Another outstanding event in the annals of the village’s history, and one which is part of the village elders’ folklore, is the major earthquake which occurred on Christmas Day 1884, the epicentre of which was in the Sierra Tejeda, razing most of the north of the Axarquia to the ground and causing serious damage and deaths. Accounts state that rescue and aid operations were made extremely difficult by the heavy snow which fell in the area around the same time.